families with coppiced wood for heating. AT ATP we aim to protect the environment and advocate responsible, sustainable practices. It is a well known fact that most households in Armenia, especially in villages, are still heated with firewood. The chopping of logs in order to survive the cold winters or the purchasing of wood from unknown sources are activities that threaten Armenia’s environment and sustainability. 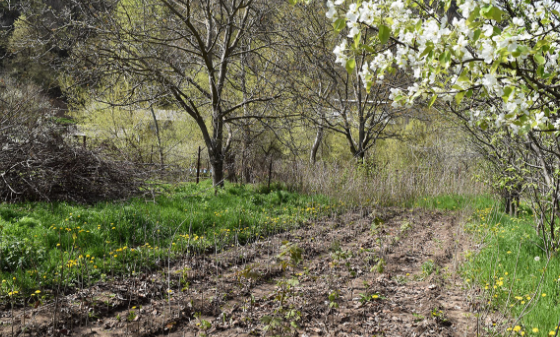 As part of our Community Planting program, we have partnered with the State Forest Committee to establish the Coppicing Project. Coppicing is a method of woodland management which entails cutting tree stems which grow densely from one stump to near ground level so that the trees can grow to their full potential and thrive. ATP hires residents of the target communities to help with coppicing activities and later distributes most of the coppiced wood to the village inhabitants for their personal use. The remainder of wood is grinded with a mulching machine and used in ATP’s Mirak Family Reforestation nursery for boosting plant growth, as well as in forestry plantings. 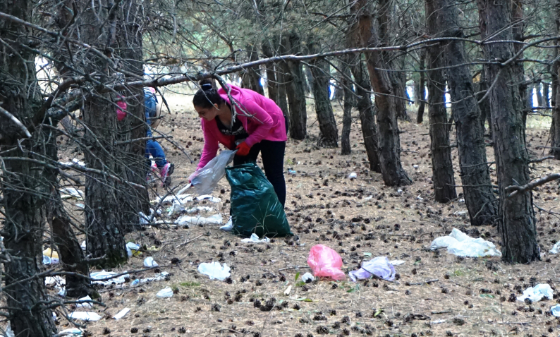 To raise awareness and maintain a culture of environmental responsibility, ATP organizes public trash cleanups twice a year and was a main partner in Armenia for World Cleanup Day 2018. Horom is a village in the Shirak province of Armenia, just 20 minutes outside Gyumri. Its climate is characterized by cold and snowy winters where the minimum temperature can plummet to −41 C and hot summers reaching up to 36 C. The villagers’ main source of income comes from agriculture. During Soviet times, trees had been planted along the main road leading from Horom to Gyumri to protect the villagers’ fields from traffic and grazing animals. In the 90’s, the trees were cut to stump-level for firewood but new shoots grew from those stumps. These stumps grew too close together, causing the trees to suffer as they competed for sunlight. There was a need to manage healthier growth of the trees as well as maintain the beauty of the road. In fall 2015, ATP started a coppicing project in Horom. 15 local men were trained and hired for a total of two weeks to prune the road-side trees and eliminate some of the shoots, thereby allowing the trees to grow to full potential. 1.5 hectares of road-side trees were maintained. The excess wood and branches were distributed to 62 underprivileged families in the village to use as firewood, saving them the expense. The road is now clear and beautiful, with the trees evenly spaced and growing healthy.